Back to 1980 - 1981 Definitives. Forward to 1985 - 93 Native Bird Definitives. Forward to 1982 - 1985 Definitives - Part Two. During the early eighties there were a few definitive sets issued but by now it was becoming clear that New Zealand was breaking away from the large definitive issues towards smaller, regular issues. This was partly because of rising postal rates meant that a larger definitive issue would quickly become out of date. I notice that most catalogues seem to put the 1982 Minerals and the 1983 Fruit together as one issue where, as is shown below, they were separate issues over 12 months apart. While displaying them on the same page I have kept them as completely separate issues. 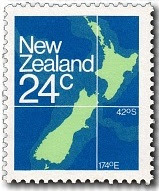 24c - New Zealand Map with Latitude / Longitude Lines. 1982 Definitive First Day Cover. 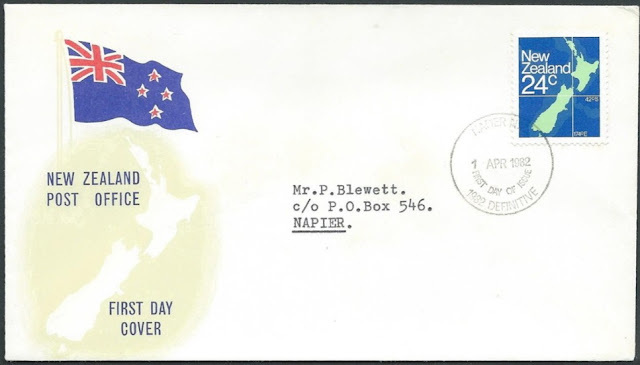 First Day Cover - 1 April 1982. 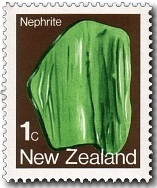 1c - Nephrite / Jade. 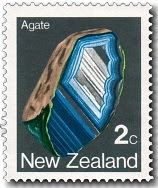 2c - Agate. 3c - Iron Pyrites / Fool's Gold. 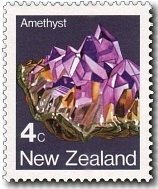 4c - Amethyst. 5c - Carnelian. 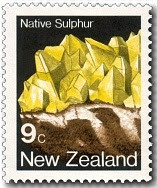 9c - Native Sulphur / Brimstone. First Day Cover - 1 December 1982. 10c - Grapes. 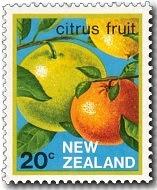 20c - Citrus Fruits. 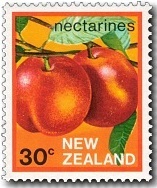 30c - Nectarines. 40c - Apples. 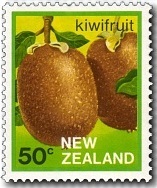 50c - Kiwifruit. 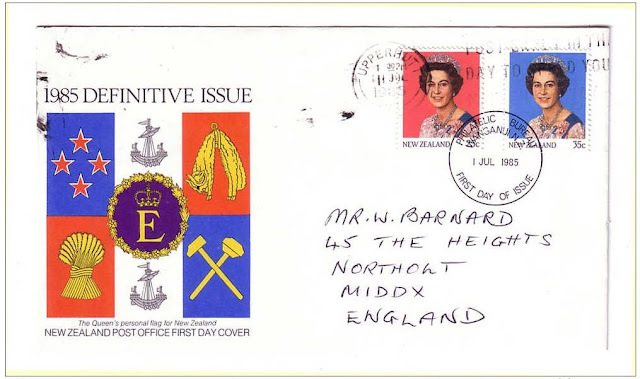 1983 Definitive First Day Cover. First Day Cover - 7 December 1983. 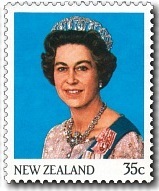 1985 Definitives - Queen Elizabeth II. 25c - Queen Elizabeth II on Red Background. 35c - Queen Elizabeth II on Blue Background. 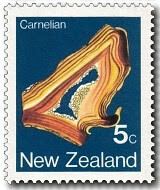 1985 Definitive First Day Cover. 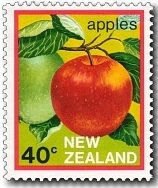 First Day Cover - 1 July 1985. Technical information - 1982 Definitives - Map. 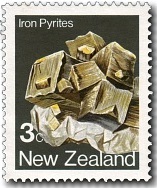 Technical information - 1982 Definitives - Minerals. 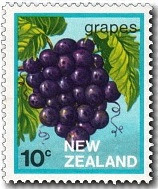 Technical information - 1983 Definitives - Fruit. Technical information - 1985 Definitives - Queen Elizabeth II.